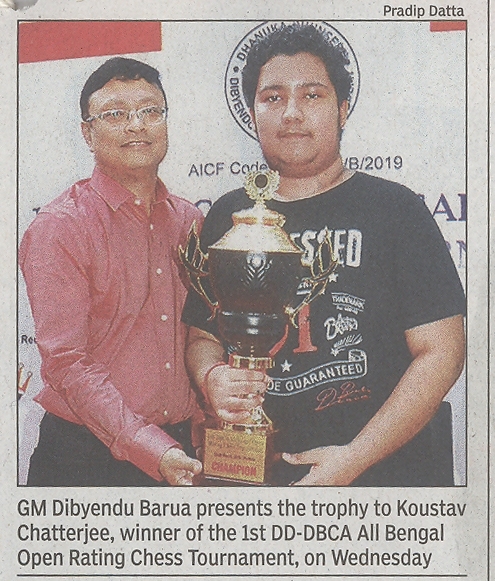 Koustav Chatterjee of Class X won the 1st DD-DBCA (Dhanuka Dhunseri – Dibyendu Barua Chess Academy) All Bengal Open Rating Chess Tournament on Wednesday, 20 March 2019. Koustav, the bronze medal winner at the Commonwealth under-16 championship earlier and the reigning state sub-junior and youth champion finished on top wih 7 points along with Debasish Mukherjee and Arpan Das on 19 March 2019. 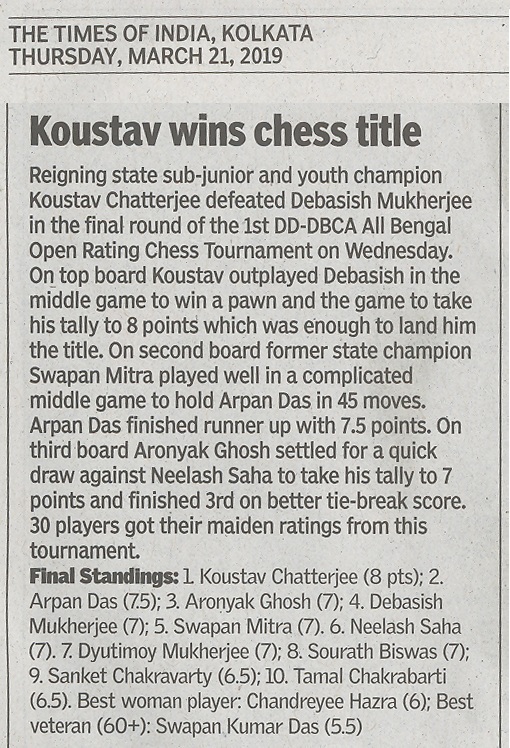 Next day he defeated Debasish Mukherjee to take his tally to 8 points which won him the title.